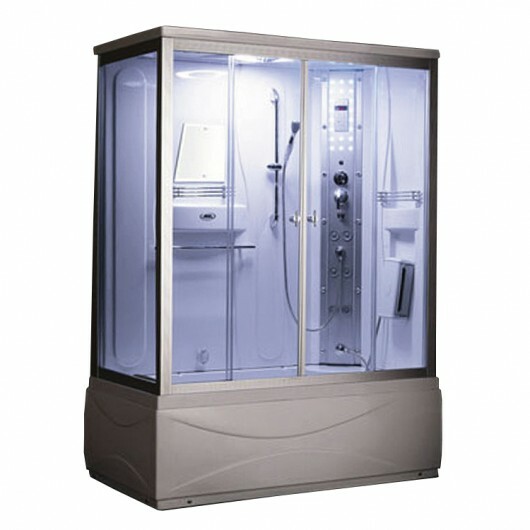 The Ariel 905 combination steam shower with jetted tub is designed to retrofit an existing 60x32 standard bathtub space. Featuring dual sliding glass doors that open into an expansive two person shower, the 905 brings class and sophistication to any modern bathroom. The 905 steam shower with jetted tub has 6 acupuncture jets, 6 adjustable whirlpool jets and a high output 3kw steam engine. Indulge yourself in a state of complete relaxation and tranquility with the many features the Ariel 905 has to offer. 32" x 59" x 24"